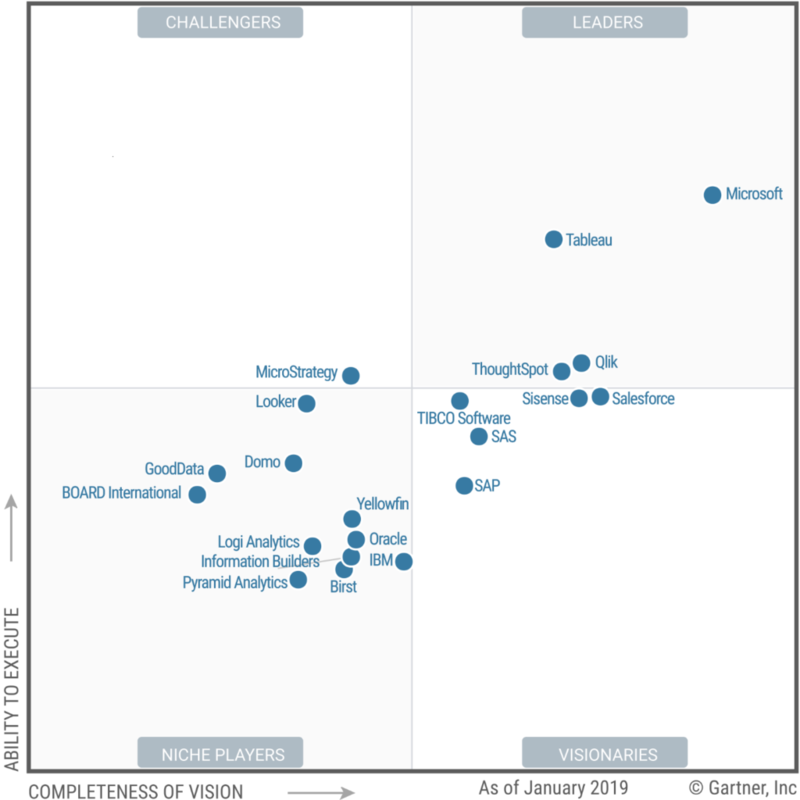 Gartner just published its legendary Magic Quadrant for Analytics and Business Intelligence Platforms for 2019. It is always interesting to see how the SAP BI offering compares to its competitors. In previous years I’ve been critical on this report, as most of the SAP tools were completely ignored (SAP BusinessObjects BI Platform, Lumira, etc.) and SAP Analytics Cloud was really just getting started. In the 2019 edition the BOBJ stuff is still out, but that is something I can live with as SAP clearly changed its strategy to cloud. SAP is a Visionary, its position in the Magic Quadrant being influenced by product limitations and relative weakness in terms of sales and marketing strategy. SAP still does not have the broad market momentum of the Leaders in this market. Its decision to focus on one product is beginning to improve its competitiveness, however. Reference customers for SAP Analytics Cloud report a much improved view of SAP’s viability as a vendor of modern analytics and BI. SAP Analytics Cloud’s integrated functionality for planning, analytical and predictive capabilities in a unified, single platform is a differentiator. SAP is one of only two vendors in the Magic Quadrant with such an offering. I can only agree with this. The focus should not be on purely closing the functionality gap with the quadrant leaders, but on offering a more integrated, broader solution.